So what are you having for breakfast Saturday morning? 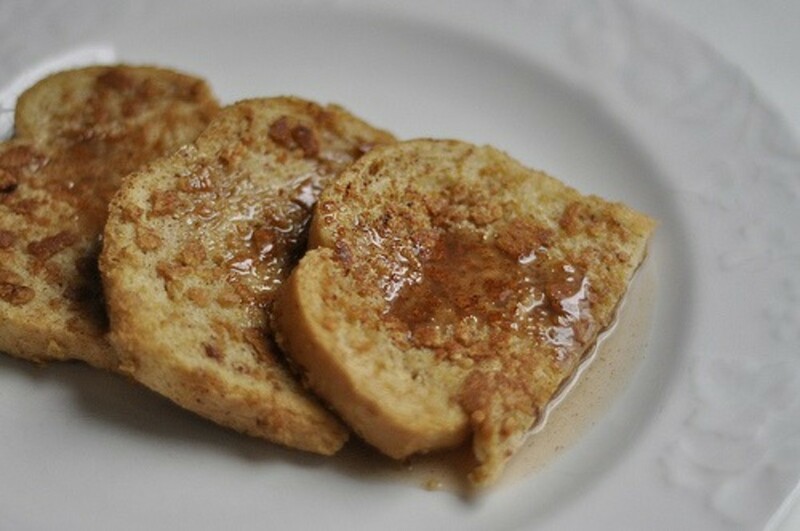 Why not try the best french toast recipe ever? I’ve got a great suggestion if you need one. 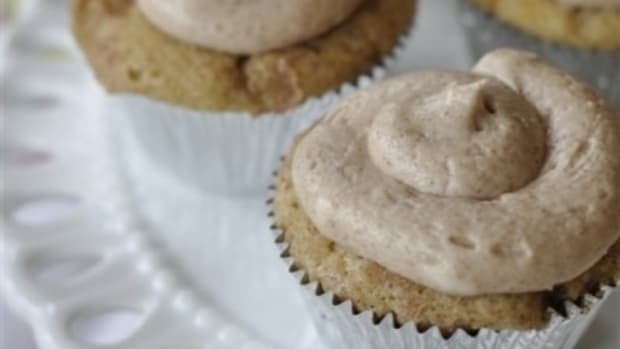 We love just about anything Snickerdoodle at our house – cookies, muffins, cupcakes, blondies. 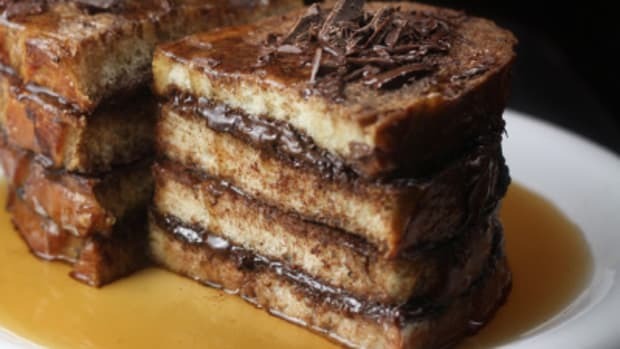 So when I happened upon a recipe for Snickerdoodle French Toast over at the Land O’ Lakes website I knew we’d love it. The french toast is made the night before so it makes Christmas morning prep simple. After being dipped in the egg mixture the bread is then coated in crushed up Cinnamon Toast Crunch cereal, (one of my kid’s favorite cereals) and then sits over night in the refrigerator. 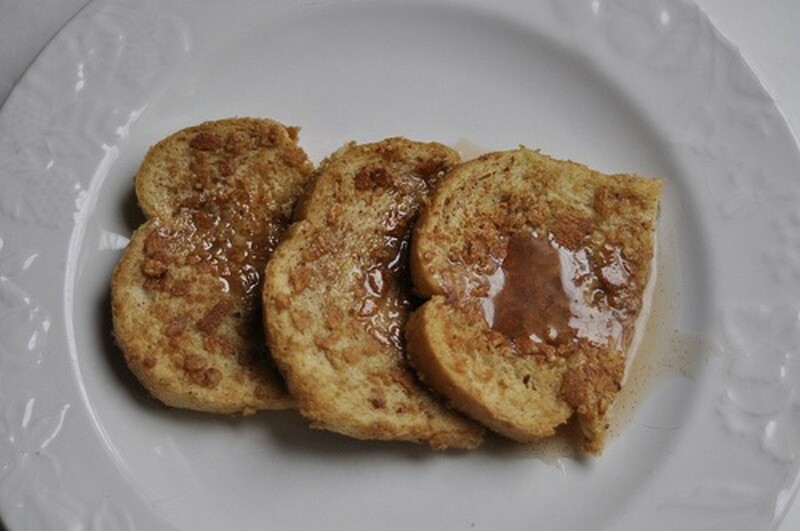 The cereal coating gives the french toast some extra cinnamon flavor plus a great crunch! Of course, the cinnamon goodness is only made better when you smoother it in cinnamon syrup!! Grease 15x10x1-inch jelly-roll pan. Add together the half & half, eggs, sugar, cinnamon and vanilla in a bowl and mix well. Crush cereal in a plastic bag and then place in a shallow bowl. 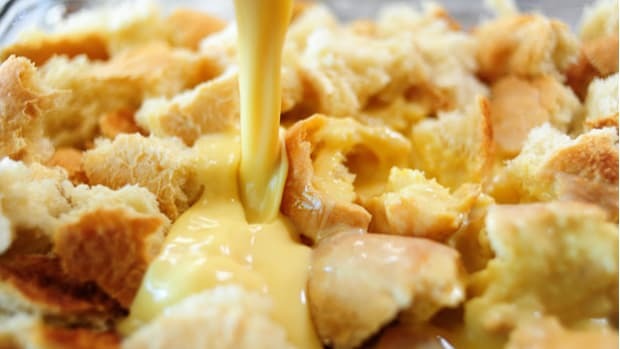 Dip bread slices in egg mixture then into cereal crumbs, both sides. Place into prepared pan. Cover; freeze until firm (1 to 2 hours or overnight). 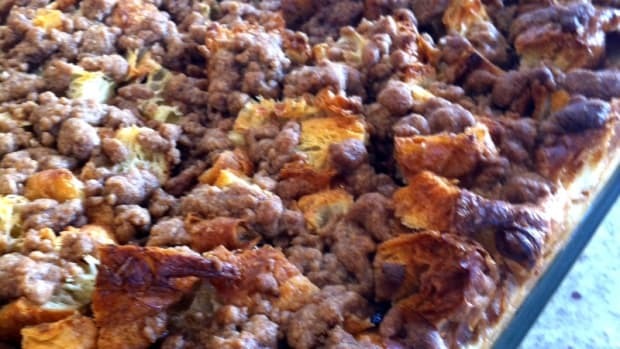 Can be baked in oven at 425 degrees, uncovered, turning once, for 15 to 20 minutes or until golden brown. I cooked mine on my electric griddle. 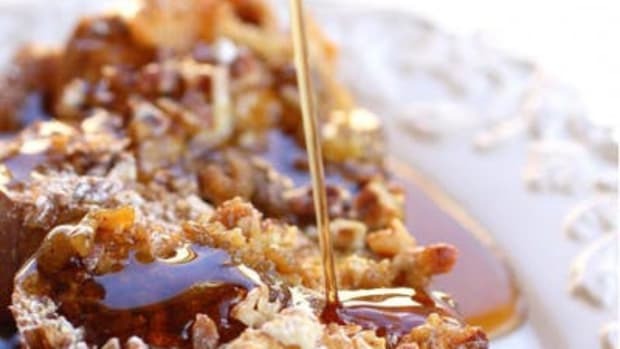 Serve with butter and syrup. So what are you having for breakfast Christmas morning? With all the holiday crazies going on have you even thought about it? Have you ever felt guilt for eating dessert for breakfast? 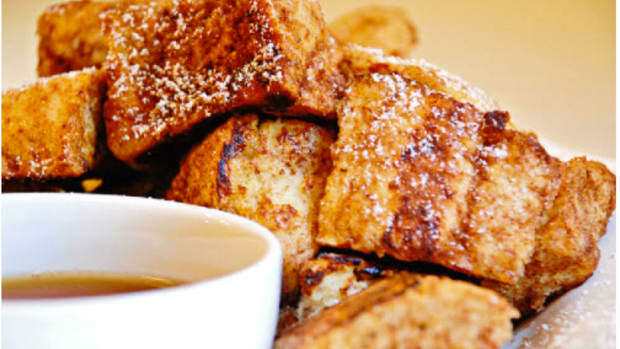 Sunday mornings practically scream for french toast. 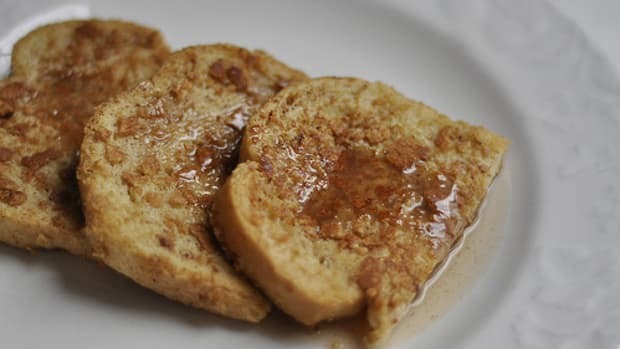 Whether you're looking for the perfect weekend breakfast or something for the holidays we've found the french toast recipe for you! Just 10 minutes to prepare !